Available at Selfridges (Oxford Street) and online. We all love a shot of luxury every now and again, don't we? This selection of textiles from the sustainable interiors brand Mumo is luxury with ethics, or 'luxe with attitude' as I prefer to term it. 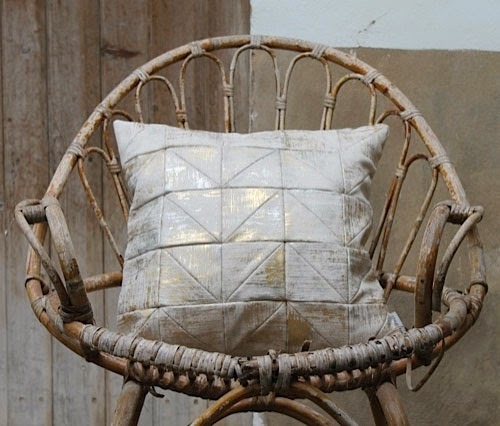 I am thrilled to see the inclusion of one of my favourites, geometric pattern, along with distressed metallic golds and coppers created by foiling techniques - just look how these finishes catch the light! 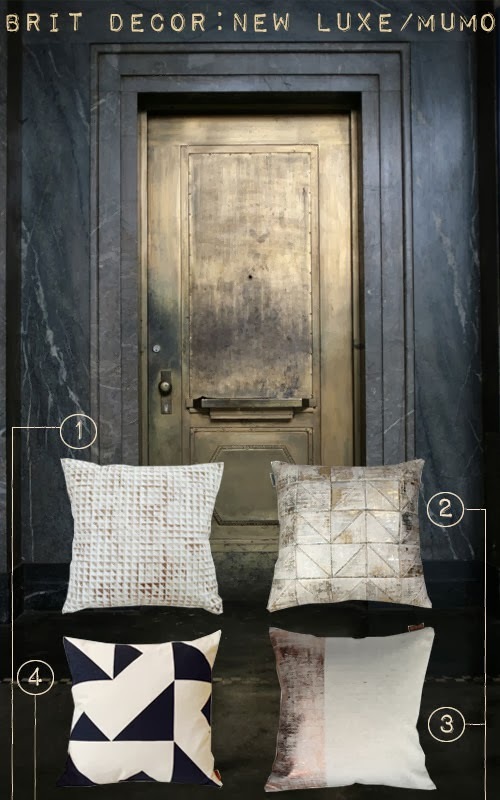 This is an exciting time for the Mumo brand, with a cross-section of their soft furnishings now available at Selfridge's flagship store in Oxford Street and also online nationally. For those of us not living in the capital, it's great to know that cutting edge interior brands are still available at the click of a button. However, availability of the Mumo brand will soon extend to include selected House of Fraser stores in the UK. Try mixing metallics with darker shades to accentuate the notion of contrast, which at the same time will emphasise the light reflecting properties of the metallic colouring. This will also bring a luxury edge to your scheme.